The parade begins at 11 a.m. and with many street closures in effect in the southern part of downtown Los Angeles, you’re best bet is to take Metro rail to the parade route down Figueroa Street. Click on the map at right to see a larger image. 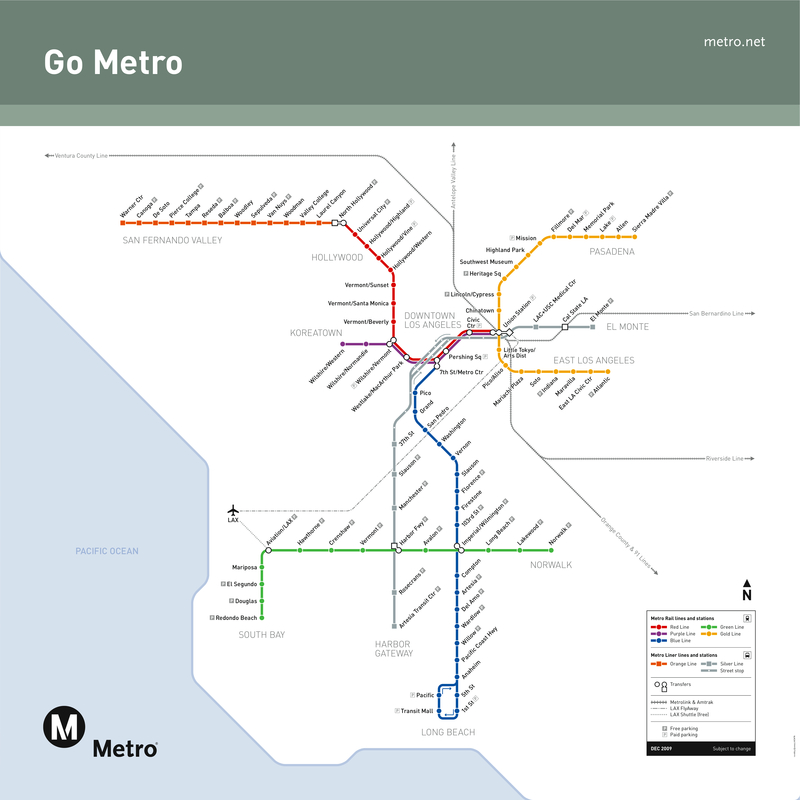 Metro has bulked up service on the Blue Line and Red Line/Purple Line and is prepared to do so on the Gold Line, if necessary. The nearest Red/Purple station is Metro Center at 7th and Figueora — it’s a short walk to the beginning of the parade at Staples Center from there. The Blue Line has three stations near the parade route — Metro Center, Pico and Grand. Metro Bus service will be significantly impacted in the event area including 31 bus lines that either follow or cross Figueroa, Flower or Grand streets between Olympic and Jefferson boulevards. Delays can be expected beginning about 3 a.m. and will continue until the end of the parade on Metro Bus lines: 14, 30, 31, 33, 35, 37, 38, 55, 70, 71, 76, 78, 79, 81, 96, 102, 200, 333, 335, 378, 439, 442, 445, 450X, 460, 485, 603, 714, 730, 770, and 910. Readers thus far have a lot of faith in Congress — do you?